Today biotechnology products are produced from genetically engineered criteria, plants and animals. Organisms that have a foreign gene inserted to them are called transgenic organisms. Promoting health in plants: Transgenic bacteria are used to promote health of plants. For example: A bacterium normally forms colonies in the roots of corn plants. Some genes from another bacterium have been inserted into these bacteria. These genes code for an insect toxin. The toxin protects the roots from insects. Biodegradation: Bacteria can degrade a particular substance. The ability of degradation of bacteria can be enhanced by genetic engineering. Biofilters: The transgenic bacteria can be used as biofilter in industries. Synthesis of organic compounds: The catalysts act on precursor molecules during synthesis- of organic chemicals. Bacteria can be used in place of these catalysts. These bacteria carry out the synthesis of ,these compounds. For example, aspartame is dipeptide sweetener. It is known as Nutrasweet. It is prepared by transgenic bacteria. Use in Mining industry: Many major mining companies are using bacteria to obtain various metals. Genetic engineering enhances the ability of bacteria to extract copper, uranium and gold from low grade sources. Transgenic crops: In 1999, these transgenic crops were planted on more than 70 million acres worldwide. Their acreage (total acre) is expected to become triple in about five years. Increasing production of wheat, corn and rice: Agribusiness companies are also developing transgenic varieties of wheat, rice and corn. 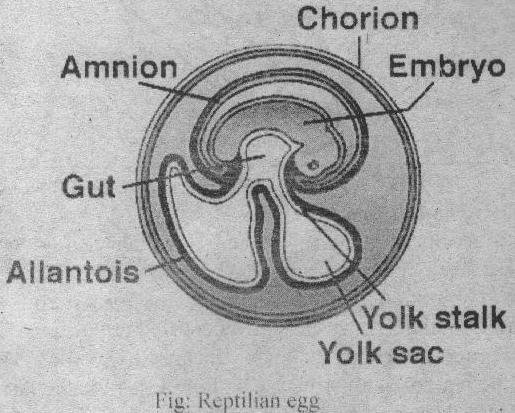 Higher growth rate of animals: The genes for bovine (cattle) growth hormone are injected by this technique into many types of animal eggs. Thus many larger fishes, cows, pigs. rabbits and sheep are produced by this procedure. Gene pharming: The use of transgenic farm animals to produce pharmaceuticals is called gene pharming. Many antibiotics, hormones are produced by these techniques. There are two main methods used for gene therapy i.e. Ex-vivo and in Vivo. 2. Use in forensic laboratories: DNA analysis is used to identify criminals. 3. Parentage: The DNA is inherited. Thus the finger print of offspring resembles the finger prints of one’s parents. So it can be used to establish parentage.